20-09 | The history of MR imaging | MRI NMR Magnetic Resonance • Essentials, introduction, basic principles, facts, history | The primer of EMRF/TRTF. The first hardware manufacturer to get involved in whole-body imaging was Electric and Musical Industries (EMI) in 1974. 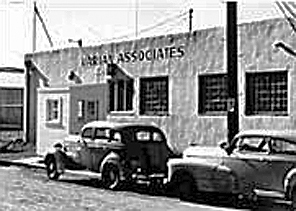 Later the company was taken over by Picker (later Marconi, today Philips). Philips started research into MR imaging at the same time; P. Rob Locher, André Luiten (Figure 03-01b), and Piet van Dijk were seen at many scientific meetings. Siemens got involved in 1977, with – among others – Arnulf Oppelt, Wilfried Loeffler and Andrew Maud­s­ley working on the project. Johnson & Johnson/ Technicare began their de­ve­lop­ment in 1978/79. Others followed in the 1980s and 1990s, among them the big Japanese companies Hitachi and Toshiba, as well as the US-American General Electric company in 1983. To add to its competence and market in MR imaging, General Electric acquired Technicare from Johnson and Johnson in 1985, the French CGR in 1988, and the MR business of the Israeli company Elscint in 1998. M&D Aberdeen was a company originating from the research group at Aber­deen University. It had one machine in Geneva, but it disappeared a long time ago. 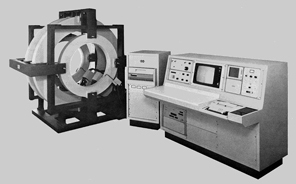 Another effort was the Finnish MR imaging machine in the late 1970s, produce by Instrumentarium in Helsinki. Raimo E. Sepponen (Fi­gu­re 20-50), together with a number of other researchers, among them the sur­ge­on Jorma T. Sipponen, aimed to develop a method and device for detection of internal hemorrhages. Their first clinical MR imaging model was installed at Hel­sin­ki University Central Hospital in June 1982 operating at a field strength of 0.17 T. The second unit operated at 0.02 T, and later units operating at 0.04 T, which – at least at that time – was politico-commercially a step in the wrong di­rec­tion. Nowadays, such intelligent and sophisticated approaches would be wel­comed again. Chapter 20 | The history of MR imaging – Page 9  Go to Chapter 20, page 1, 2, 3, 4, 5, 6, 7, 8, 9, 10.